Dallas is known for many things, such as barbecue, football, Tex-Mex cooking, and oil wells. If you’re moving there or even visiting, though, you need to prepare for all kinds of weather. Yes, Dallas is in the Southwest, which gets hot. But the climate in Dallas is a lot more complicated and nuanced than many people realize. It’s a world unto itself. So here are 10 tips to get along with Mother Nature in Dallas. There are four seasons. Some newcomers expect hot and dry weather in Dallas all year, but it actually has four distinct seasons. Summers are hot, as everyone knows. Winters are chilly and spring and fall are more moderate. So don’t expect to walk around in short and a t-shirt all year. Dallas gets winter weather. It’s rare to experience extreme cold, but don’t be surprised when temperatures dip into the 30s in January, sometimes bringing freezing rain and even the occasional snowstorm. So bring your winter coat, hat, and gloves. And be careful when the roads get slick. Get ready for the heat. It gets seriously hot in Dallas in summer, often reaching the triple digits. This type of weather isn’t just uncomfortable, it’s potentially dangerous. Most folks know to stay in air-conditioned spaces or at least in the shade. Drink plenty of water and be especially careful during heat waves. Take tornadoes seriously. Tornadoes are one of nature’s most dangerous weather events and they do come to Dallas. Listen to weather reports and make sure you’re safe if there’s even a chance that a tornado is coming. Bask in the beauty of spring. This is when wildflowers bloom all over the city. 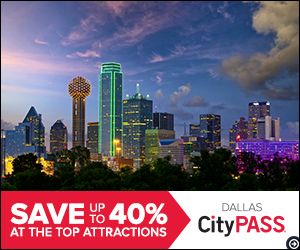 Among the best places to see flowers in Dallas are the Dallas Arboretum and the Botanical Research Institute of Texas. While temperatures are comfortable this time of year there is also some rain, including some of those aforementioned thunderstorms. Rain, however, is often fleeting. Hardy football fans often sit right through storms while rooting for the Cowboys. Chicago is known as the Windy City, but Dallas is windier! Dallas is officially America’s 5th windiest city, with average annual wind speeds of 10.7 mph. Spring is the windiest season, but be prepared for gusts of wind anytime, even during the hottest months. Bring your umbrella. Dallas is known as a hot and dry climate, which is true. However, that doesn’t mean in never rains. Dallas gets about 40 inches of rain per year, a few inches below average but still significant. Speaking of wet weather, watch out for thunderstorms. Dallas sometimes gets ferocious thunderstorms. When these hit, don’t try to brave it. Stay off the roads and wait for the storm to pass. Take some cool photos from the safety of your home or office. Enjoy the fall. Late September through early December are many people’s favorite months in this part of the country. Temperatures are warm but not usually scorching and evenings cool off nicely. This is the perfect time to enjoy spending time on your porch or exploring the city’s many attractions on foot. Enjoy nightlife. One consequence of living in a warm climate is that people often wait until dark to go out for fun, especially in summer. Temperatures drop into the 70s and even 60s at night, giving you a chance to cool off, have dinner or drinks with friends, and explore the city’s vibrant nightlife. Expect the unexpected. Dallas weather is, above all, unpredictable. Extremes are the norm here. There’s a famous saying attributed to Mark Twain, “If you don’t like the weather, wait five minutes,” which certainly applies to Dallas. Always pay attention to the weather forecast and get ready for lots of diversity. New to Dallas? For lots of helpful tips and resources to help you get settled, contact us.